Moisture absorber : how is it used? • The Air Geeks, reviews of air conditioners, dehumidifiers and air purifiers. Blog, Dehumidifiers » Moisture absorber : how is it used? 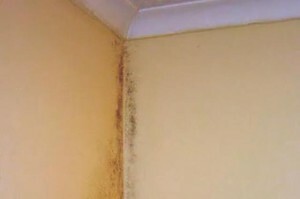 Living in a damp house or having a damp room at home is not a good thing, either for humans who live there, or for the house itself. Moisture absorbers exist for precisely this situation. Let’s find out how to use them. Mobile moisture absorbers are devices capable of absorbing moisture from the air . Some of them may even heat the air or keep the room at a desired temperature. To use this device, simply plug it in, set the control to the perfect temperature, and the room will be stripped of its harmful moisture. Some models have an automatic mode. These compact, effective, efficient, economical, and easy-to-maintain machines are easily transported and be a great help to anyone who has problems with moisture. There’s something on the market to match all tastes and budgets. Wall moisture absorbers are rather large devices that are used primarily to absorb moisture in a room housing a pool, a Jacuzzi or even a sauna. These high-performance machines more often than not do what is expected of them. To use this machine, simply hang it on the wall, link the exhaust system to the domestic drainage system and connect it to the mains. They usually have an intuitive system that enables it to detect the correct temperature quickly and begin absorbing humidity. This type of device is expensive, powerful, efficient and very helpful for protecting the air quality in high-humidity rooms and safeguarding possessions kept in those areas. 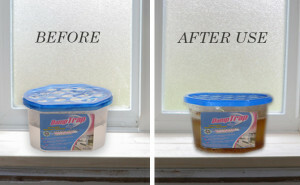 There are also natural alternatives for dehumidifying the air . However, these are only effective for dehumidifying small rooms. Furthermore, whilst these alternatives are inexpensive, they only partly solve moisture problems. You can then opt for charcoal, natural clay or salt. For the first option, you will need to place a few pieces of charcoal in a plastic box with a pierced lid. For the second option, simply place the clay in the bottom of a large container and put it in a problematic area, do the same with the salt. 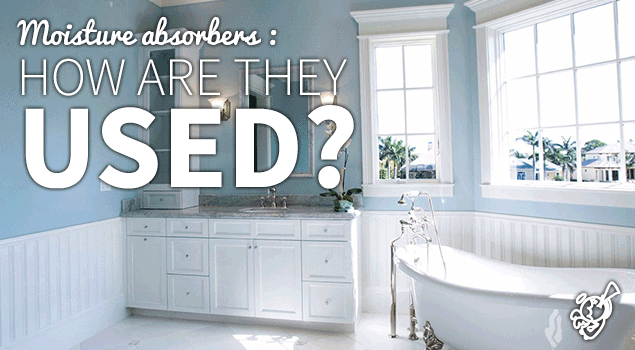 The most effective way to get rid of moisture problems is to get hold of a moisture absorber. Before choosing the right device for you, make sure you check parameters such as room size, moisture levels and also the budget . Then, websites that specialize in moisture absorbers can help guide your choice.